I have to admit that I don’t really write too much for the parents out there. So I decided to take a moment and talk about a product that someday might save your child’s life. Kids are notorious for not being able to sit still. I can’t really blame them. They havn’t been in the world no more than a few years, and there is so much to see and do. When you have to force them to sit down and be still it can be such a pain for not only them, but for you as well. No better time comes to mind than when its time to eat. Kids tend to want to finish as fast as possible so that they can get back to whatever they were doing. What is a parent to do to make their child slow down before they choke? Threaten to make them have to wear the Kami Kami Sensor in front of thier friends! 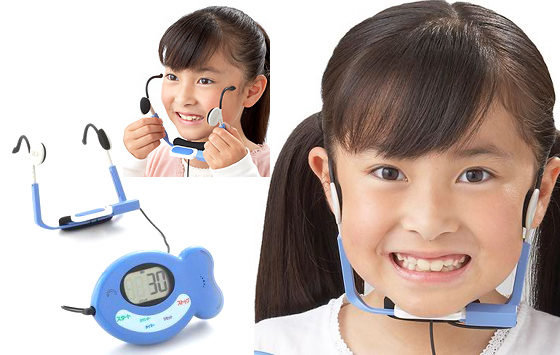 Nitto Kagaku’s Kami Kami sensor attaches to your childs face, and makes sure they chew a specified amount of times. Have your back turned? No problem. The Kami Kami sensor beeps after every 30 bites taken. When it comes to your child’s saftey, price should be no object. 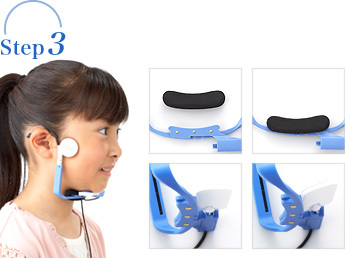 The Kami Kami sensor will set you back 11,550 yen ($188.95).